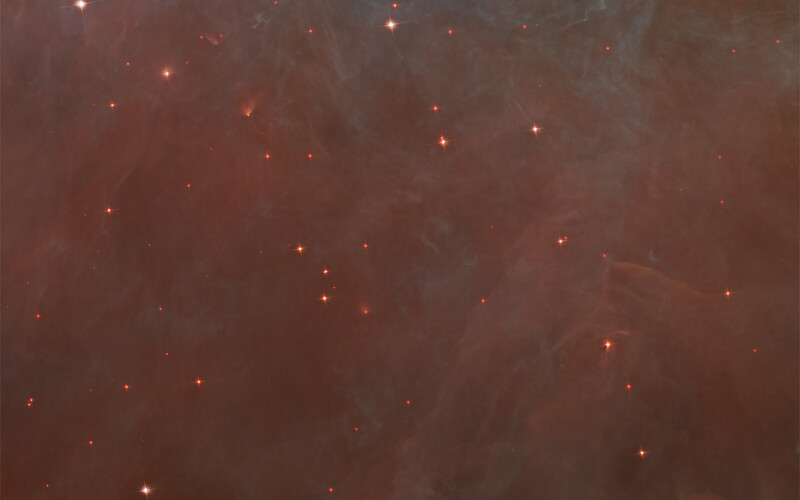 The faint red stars in this close-up image are the myriad brown dwarfs that Hubble spied for the first time in the Orion Nebula in visible light. 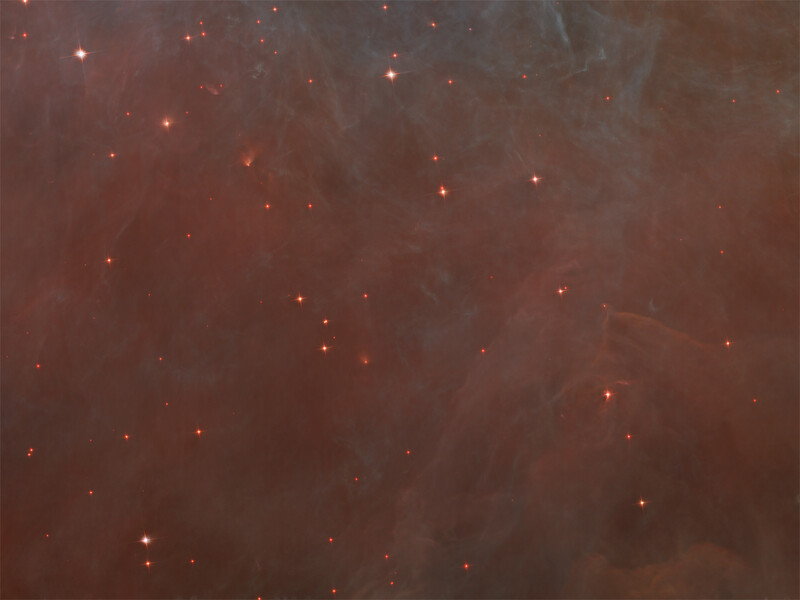 Sometimes called "failed stars", brown dwarfs are cool objects that are too small to be ordinary stars because they cannot sustain nuclear fusion in their cores the way our Sun does. 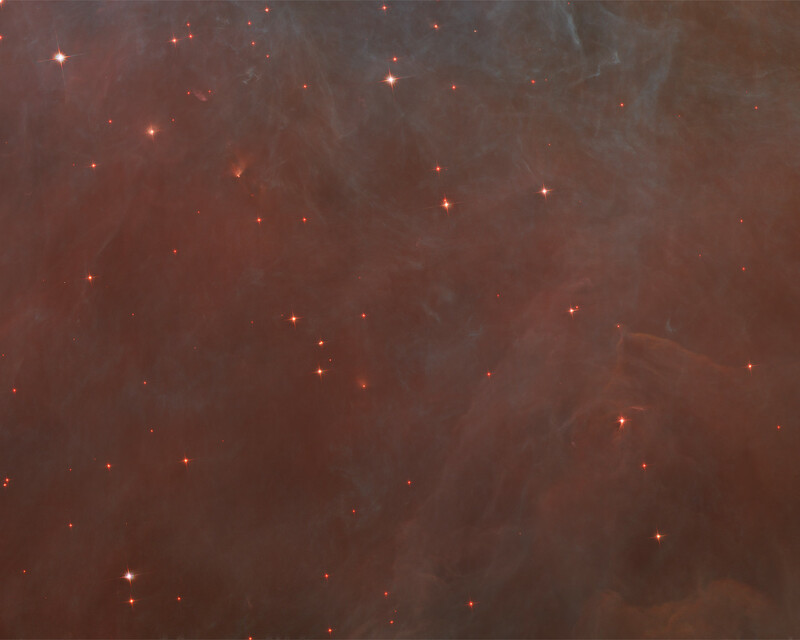 Position (Dec): -5° 32' 48.58"
Notes: Additional observational data from the WFI instrument on the ESO.MPG 2.2-metre telescope.